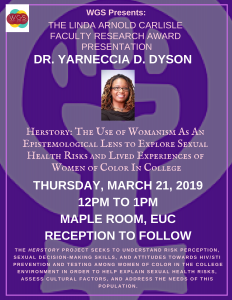 Dr. Dyson’s talk is on Thursday, March 21st, from noon to 1pm in the Maple Room of the EUC. A reception will follow. Next story JMSW Shirts – order by March 1st!